Steel single screw motor vessel, built in 1998 by Shin Kochi, Japan (Yard No. 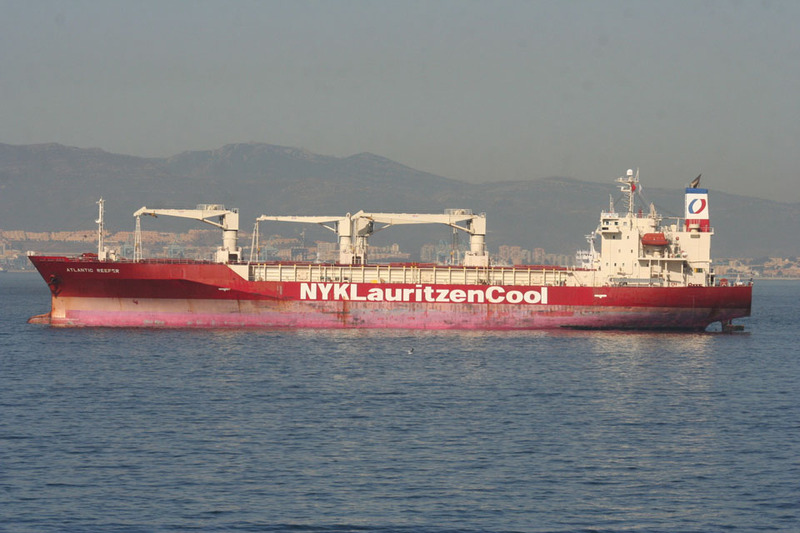 7106) as a refrigerated cargo ship. Registry: Curacao, Panama, Curacao, Monrovia/Liberia. 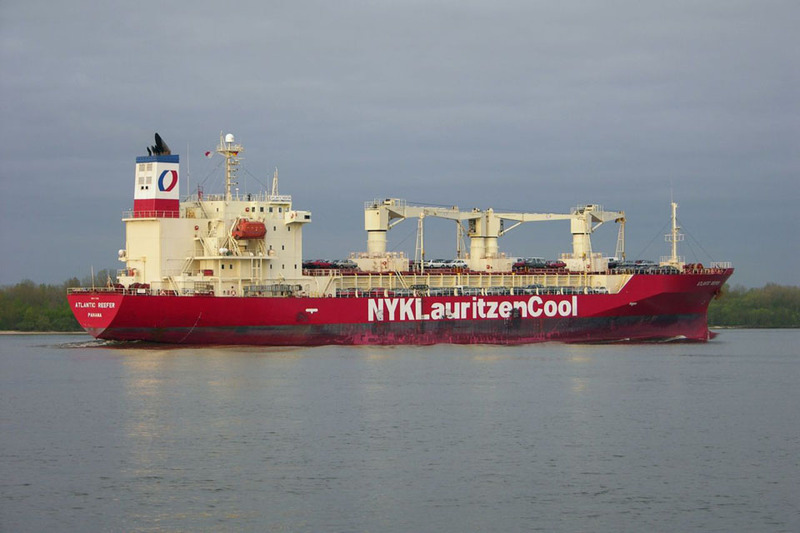 1998: Registered Manager; Fukujin Kisen K. K.
2001: Registered Owner; Basarabi Shipping. 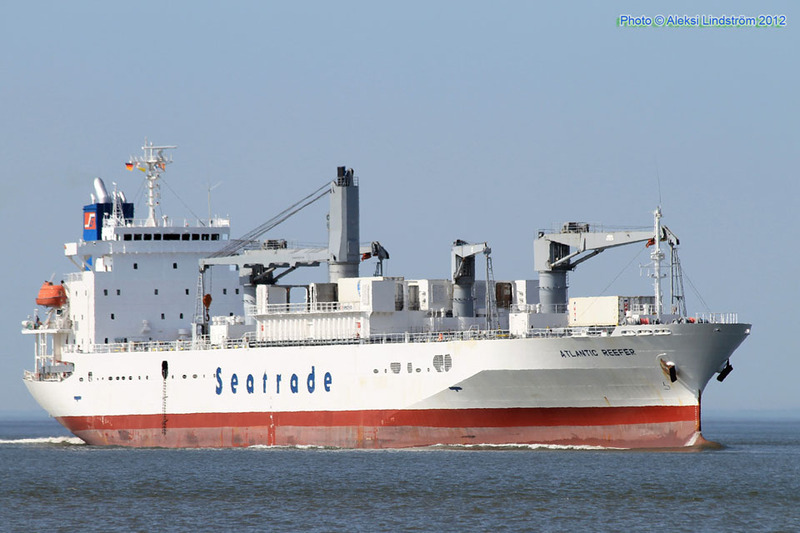 Registered Manager; Basarabi Shipping. 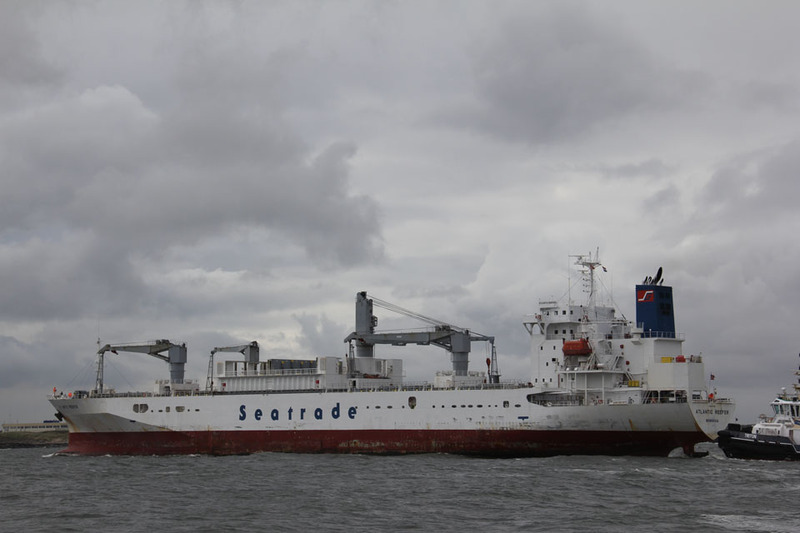 August 30th 2011: A contract for lengthening the Atlantic Reefer and Pacific Reefer was signed with Cosco Shanghai Shipyard. 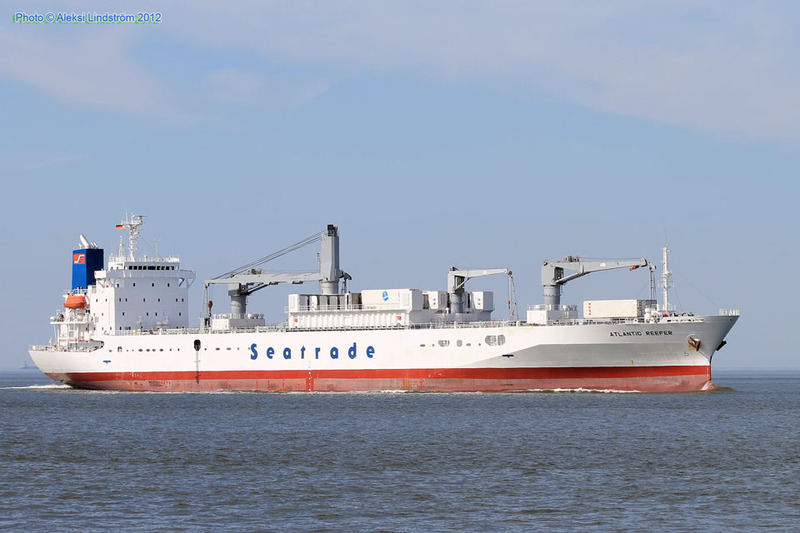 “The Pacific Reefer entered the dry dock on 13 December for the most delicate part of the operation. The final cutting commenced on 16 December around 20:00 and around 04:00 the following morning. 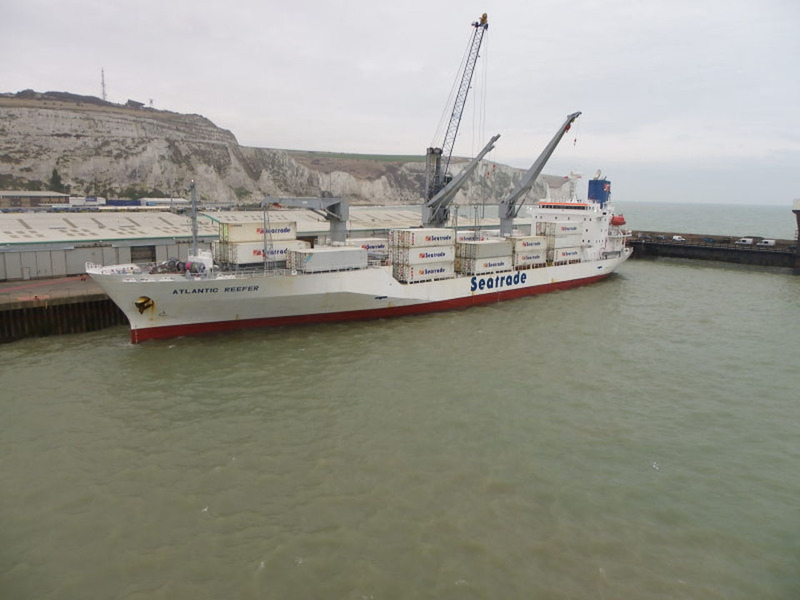 Less than two weeks after arrival of the Pacific Reefer, the Atlantic Reefer moored alongside the shipyard quay, hot on the heels of her younger sister. While the Pacific was in dry dock for the cutting operation, the entire process of preparations, removals and tank cleaning started once more. 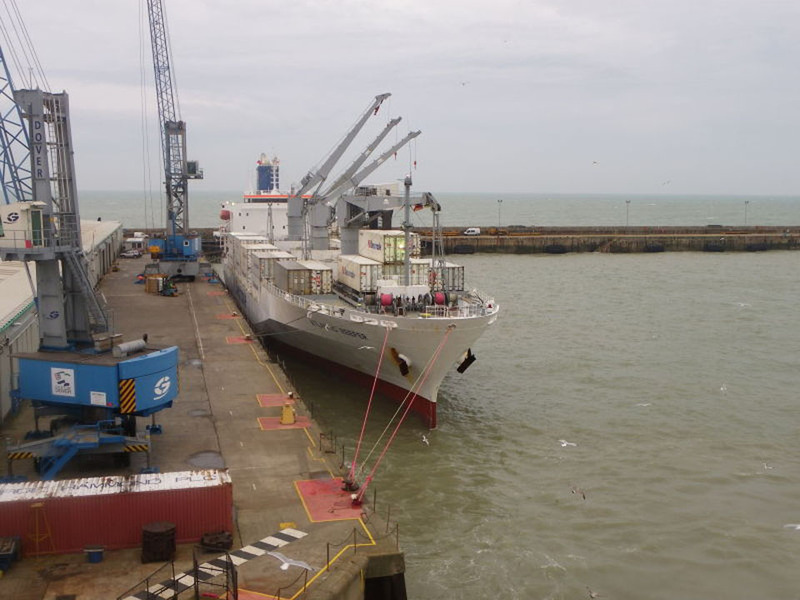 The Pacific Reefer was welded back into one, much longer vessel, and after the installation of deck reinforcements and a full underwater coating she left the dry dock on 3 January. 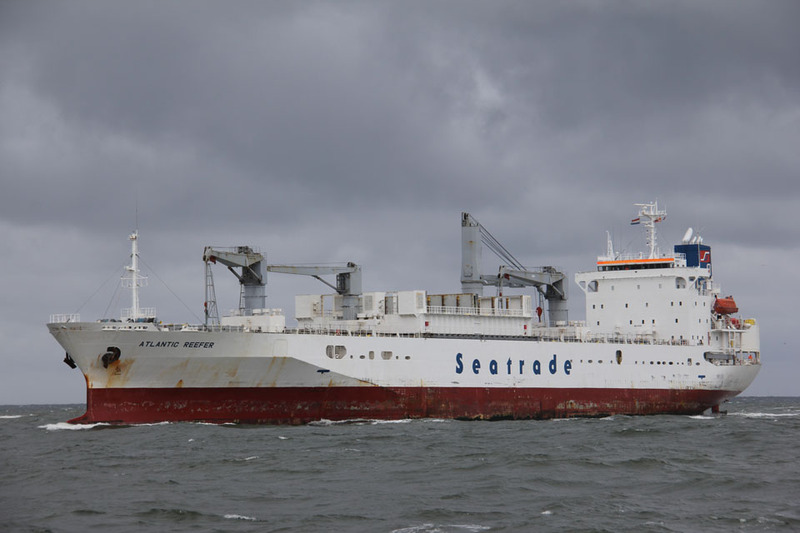 The same day, the Atlantic Reefer entered the dry dock to undergo the same process as her sister vessel. The whole process of cutting, moving, lifting and re-installation was repeated. 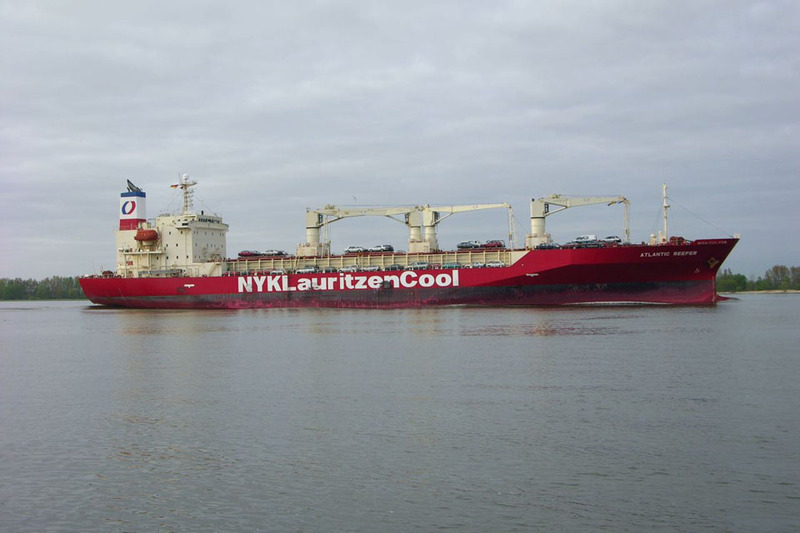 On 18 January, she too, was ready to leave the dock and completed the most spectacular part of this lengthening project. 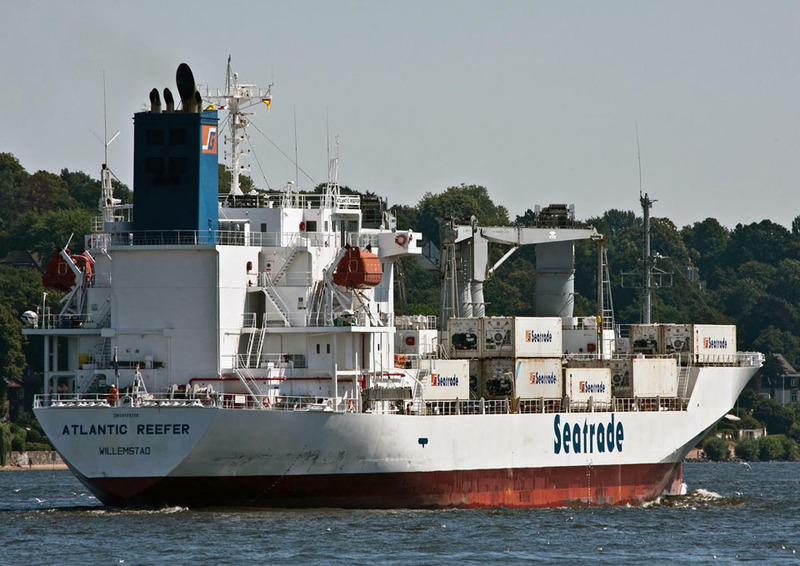 all efforts were focused on completing the Pacific Reefer for her sea trials on 4 February 2012. 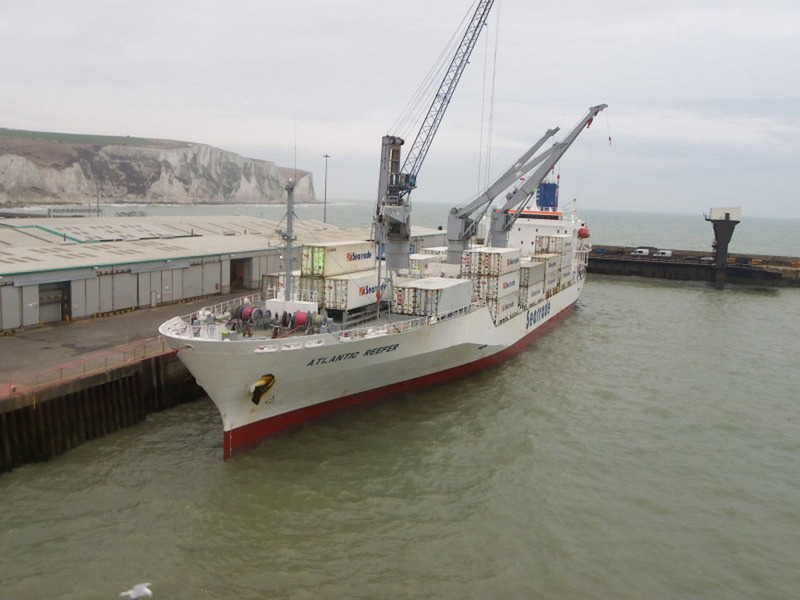 When these were successfully completed, the vessel was ready for her first load of cargo. 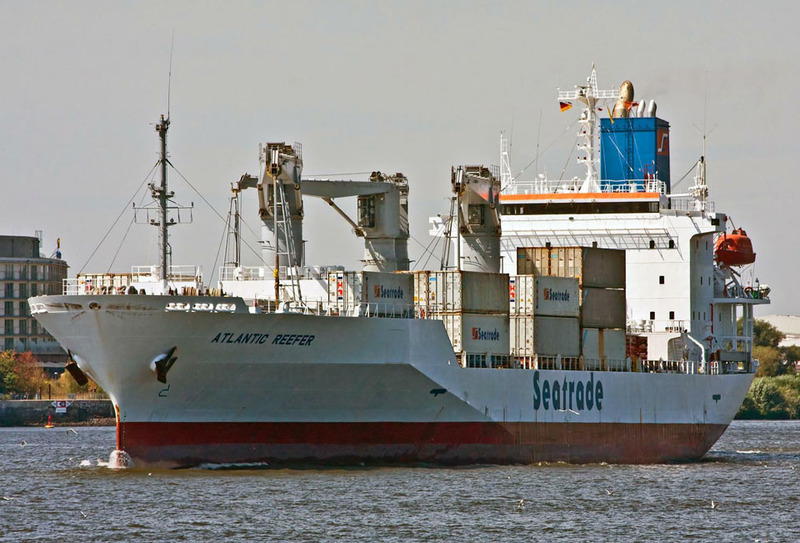 She left Shanghai on the 9 February, carrying 226 brand new reefer containers, destined for Valparaiso, Chile. September 3rd 2017: Due at Dover. All information is believed to be correct and no responsibility is accepted for any errors or omissions found. All items included in this article are subject to © copyright. We would like to take this opportunity of thanking: Jens Boldt, Ed Connell, Gerolf Drebes, Daniel Ferro, Aleksi Lindström and Willem Oldenburg for their assistance in compiling this feature.